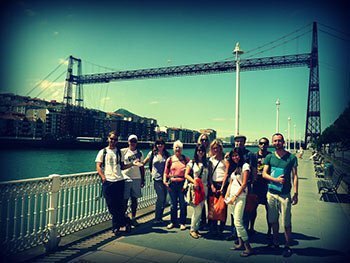 Our Spanish school in Bilbao is formed by a team of professionals who work every day to make your stay in LINCE Spanish School and your experience in Bilbao unique. A place of international atmosphere, where the most important thing is you. We are sure that the familiar atmosphere of the school will make you feel at home. Our Spanish school boasts an exceptional central location. We are located right in the centre of Bilbao, in Abando area. 10 minutes walking from Guggenheim Museum and Museum of Fine Arts, next to the river and the main shopping area. You can easily access the Spanish school with public transport. Qualified teachers All LINCE Spanish School teachers are professionals in teaching Spanish to foreigners, with specific training and years of experience. They will help you overcome all the difficulties you will encounter along your Spanish course in Bilbao in order to enjoy learning Spanish with all amenities. Reduced class-groups Each student is unique and that's why we like the attention to be as personalized as possible, so there is a limit to the number of students per Spanish class. Flexibility We are flexible to adapt our program to fit your needs. LINCE Spanish School offers a wide range of Spanish courses in Bilbao. All our courses are carefully designed to meet the needs of different types of students of Spanish and therefore we guarantee that you will learn Spanish step by step, regardless of your previous knowledge of the language. Moreover, with your Spanish course, you will also enjoy, along with other Spanish students, the free cultural activities that we offer every week. An exceptional way to learn Spanish in Bilbao, in an international environment. Methodology The main target of our Spanish courses in Bilbao is that, in addition to learning Spanish, students start to communicate in Spanish from the very beginning. To instill self-confidence, we use the communicative approach, so we work on the four language skills (speaking, writing, listening and reading comprehension), but we also pay special attention to interaction. BILBAO Bilbao is the capital of the province of Biscay, in the north of Spain, in the autonomous community of Basque Country. With a population of 355,000 inhabitants, it is the most populous city in the Basque Country. 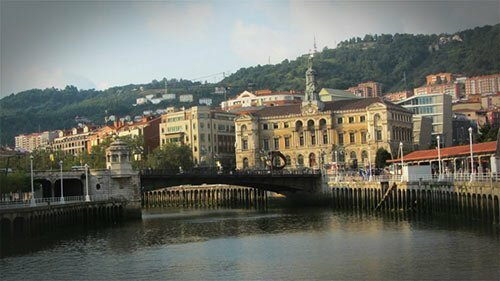 Its climate, which is temperate for most of the year, its mountainous landscape and its proximity to the sea, make Bilbao a friendly and welcoming city for any visitor. 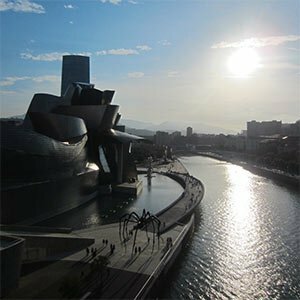 During the last decades, Bilbao has undergone a total urban renewal, becoming the modern and cosmopolitan city it is today. In addition, its high quality of life places Bilbao over the other cities of Spain.